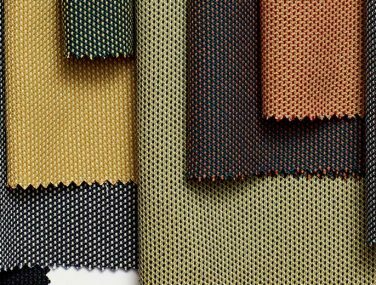 Whether it’s offices, concert halls, or any interior environment: textiles play a major role in sound absorption. 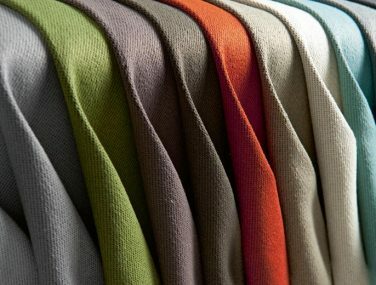 Création Baumann in the world leader in acoustic textiles offering over 90 fabrics in more than 2000 colourways. 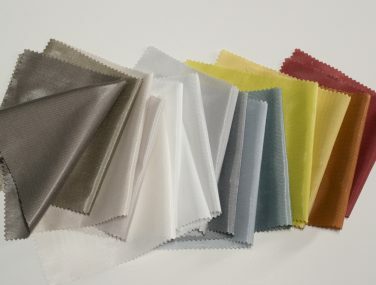 The fabrics have all been tested to the ISO/EN standards and provide an unheard-of quality in any sound range. 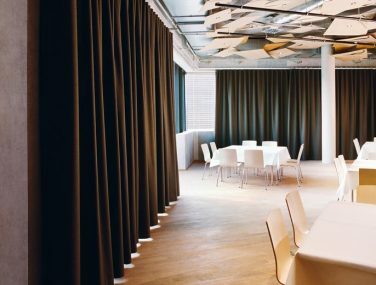 What do Acoustic fabrics do? 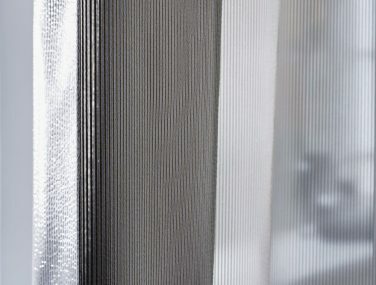 Transparent fabrics [acoustic sheers]: these are ideal for anywhere the focus is on sound and room lighting. 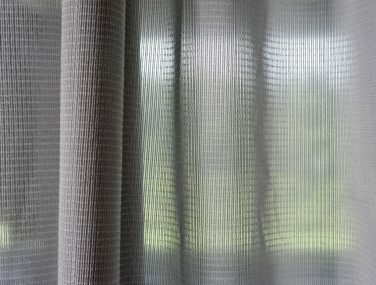 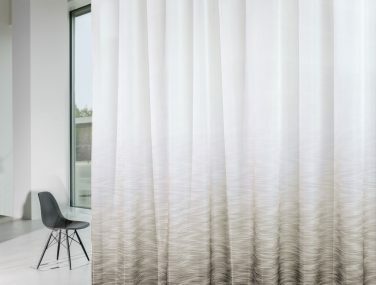 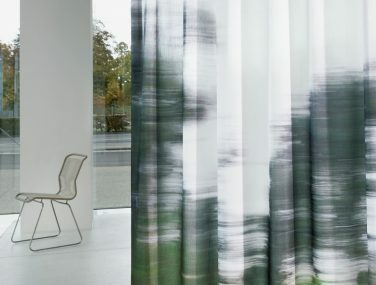 Opaque acoustic fabrics are highly effective fabrics suitable for use in windows or partitioning screens in even the largest and most reverberant of rooms. 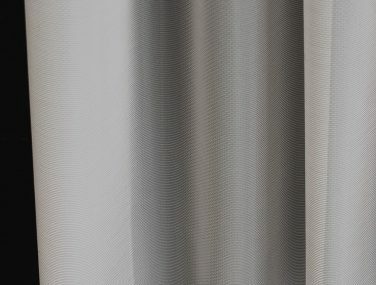 Three questions for Thomas Imhof, Acoustic Designer for our reference Brugg Cables, Brugg/Switzerland. 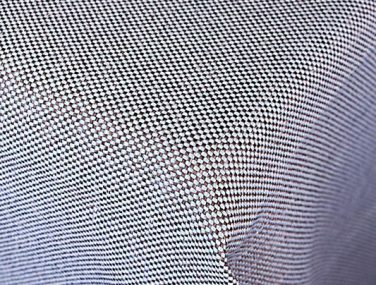 HOW DO YOU ENSURE A PERFECT RESULT? 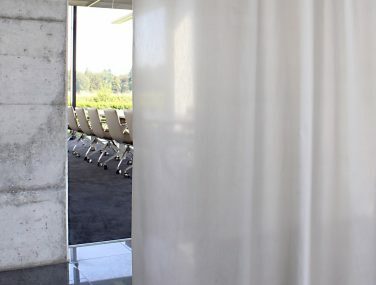 The excellent sound absorption values of Création Baumann’s acoustic fabrics are not only audible but also measurable. 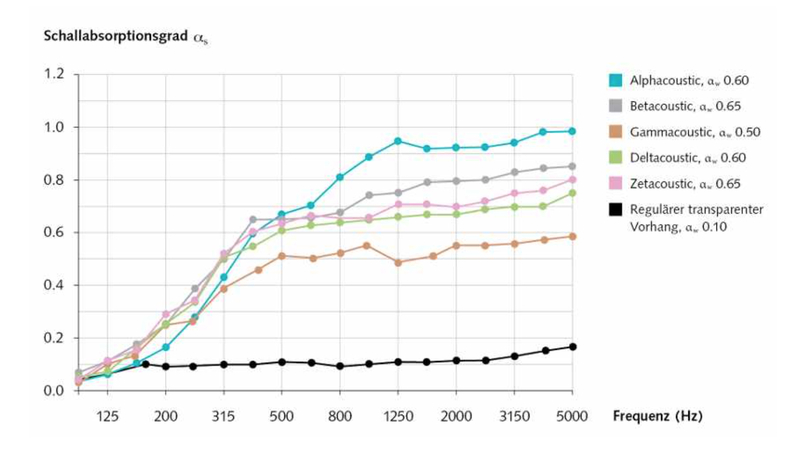 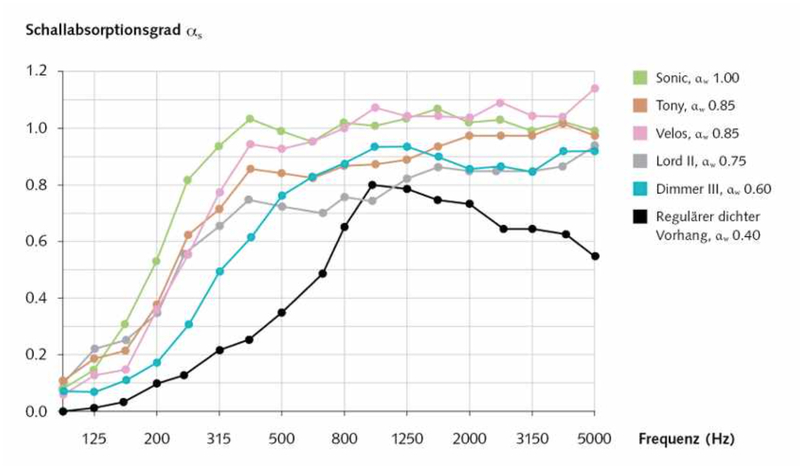 The results in the charts following indicate what can be achieved in a reverberation chamber according to the ISO/EN standard. 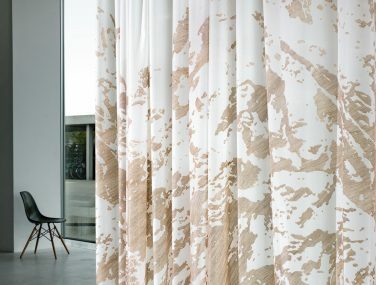 A small selection of the vast range is available in the galleries below. 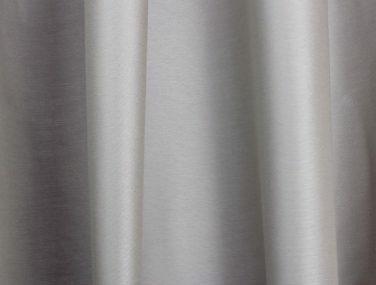 If you want to experience more contact us now.